Eleven years and 20 billion dollars later, India’s greatest startup story has reached a conclusion. 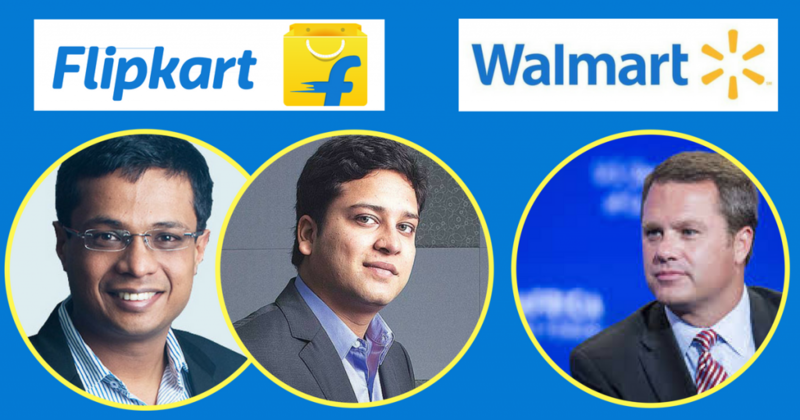 Walmart has officially acquired 77% of Flipkart for $16 billion. Walmart CEO Doug McMillon had flown into Bangalore to seal the deal, and Walmart’s acquisition has valued Flipkart at $20 billion. This deal represents the biggest acquisition yet for India’s fledgling startup ecosystem, and is also the largest input of foreign direct investment ever into the country. The deal had been in the works for a few months, and will largely be seen as a win for Flipkart’s investors and founders. Just a year ago, Flipkart had been valued at a mere $11.2 billion, its valuation having stagnated after touching a high of $15.2 billion in 2015. Flipkart had once been the dominant e-commerce player in India, but had been fighting increasingly hard to stave off the challenge from Amazon, which, by most accounts, had managed to equal Flipkart in India’s e-commerce sweepstakes. But Amazon’s growing clout in India clearly worried a rival back home. Walmart, which has been watching with unease over the last decade as Amazon has decisively won e-commerce in the US, has now stepped in and bought Flipkart. This move ensures that it has a toehold in India’s burgeoning e-commerce market, which is expected to grow manifold over the next few decades. Walmart, which is already the US’s biggest offline retailer, has been making moves towards e-commerce companies in the recent past — in 2016, it had acquired US-based e-commerce company Jet.com for $3 billion, and in 2015, it had acquired Chinese e-commerce company Yihaodian. But Walmart’s $20 billion acquisition of Flipkart is the company’s biggest play into the e-commerce play thus far. Apart from giving Walmart a toehold in India, the acquisition also opens up India’s e-commerce market once again. Over the last couple of years, Amazon had had an edge over Flipkart in India, thanks mainly to its near-inexhaustible supply of funds — while Flipkart had to constantly worry about raising its next funding round, Amazon, which has a market cap of $750 billion, could simply push more money into its India operations. But with Flipkart now being backed by a $250 billion giant in Walmart, it will have enough firepower to match Amazon dollar-for-dollar, and continue to grow its business in India. While this is good news for India’s e-commerce customers — a Walmart-Amazon rivalry in the space will ensure that their party of discounts and offers continues unabated — it’s even better news for Flipkart’s founders and investors. With Amazon snapping at their heels, there were real fears that Flipkart could simply fall by the wayside, much like Snapdeal had done last year. But Flipkart fought gamely on, and has managed an outcome that its stakeholders would be very pleased with — in 6 months, Softbank has earned a 2x return on its $2.5 billion investment, Accel, Tiger and Naspers have all won handsome returns, and both Flipkart founders are now cash billionaires. Sachin Bansal and Binny Bansal have taken their entrepreneurial dream to a logical conclusion, and have become fabulously wealthy while doing so. While Flipkart has now passed onto the hands of a global giant, it’ll remain a shining beacon for Indian entrepreneurs for decades to come.